Geoscience Australia headquarters located in the Canberra suburb of Symonston. Geoscience Australia is an agency of the Australian Government. It carries out geoscientific research. The agency is the government's technical adviser on all aspects of geoscience, and custodian of the geographic and geological data and knowledge of the nation. On a user pays basis it produces geospatial products such as topographic maps and satellite imagery. It is also a major contributor to the Australian Government's free, open data collections such as data.gov.au. maintaining geoscience knowledge and capability in order to maintain an enduring and accessible knowledge base and capability to enable evidence-based policy and decision-making by government, industry and the community. Geoscience Australia came into being in 2001 when the Australian Surveying and Land Information Group (AUSLIG) merged with the Australian Geological Survey Organisation (AGSO). Its history dates back almost to Federation in 1901 when it was decided to set aside land for the national capital. This decision led to the establishment of the Australian Survey Office in 1910, when surveying began for the Australian Capital Territory. AUSLIG's main function was to provide national geographic information. It was formed in 1987, when the Australian Survey Office joined with the Division of National Mapping, which was formed in 1947. 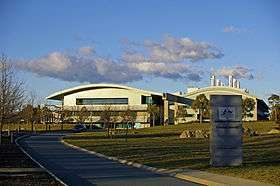 Another important component of AUSLIG was the provision of satellite imagery to industry and government, started by the Australian Landsat Station in 1979, renamed the Australian Centre for Remote Sensing (ACRES) in 1986. AGSO's predecessor organisation the Bureau of Mineral Resources, Geology and Geophysics (BMR) was established in 1946; with the name changing to AGSO in 1992. BMR was a Geological Survey with the main objective was the systematic geological and geophysical mapping of the continent as the basis for informed mineral exploration. Geoscience Australia's activities have expanded and today it has responsibility for meeting the Australian Government's geoscience requirements. This role takes the Agency well beyond its historic focus on resource development and topographic mapping to topics as diverse as natural hazards such as tsunami and earthquakes, environmental issues, including the impacts of climate change, groundwater research, marine and coastal research, carbon capture and storage and vegetation monitoring as well as Earth observations from space. Geoscience Australia's remit also extends beyond the Australian landmass to Australia's vast marine jurisdiction. It has a free place name search and its earthquake monitoring services can be freely accessed. The Library is the premier geoscience library in Australia providing services to geoscience organisations, universities, research centres, the mining and petroleum industries and the public. ↑ "Geoscience Australia report on performance" (PDF). Annual Report, Department of Industry, Innovation and Science. Australian Government. 2015. p. 184. Retrieved 31 October 2015. ↑ "Geoscience Australia overview" (PDF). Annual Report, Department of Industry, Innovation and Science. Australian Government. 2015. p. 160. Retrieved 31 October 2015. ↑ "Our history". Geoscience Australia. Australian Government. Retrieved 31 October 2015. ↑ "Gazetteer of Australia place name search". Geoscience Australia. Australian Government. Retrieved 31 October 2015. ↑ "Earthquakes". Geoscience Australia. Australian Government. Retrieved 31 October 2015. ↑ "Library homepage". Geoscience Australia. Australian Government. Retrieved 31 October 2015.